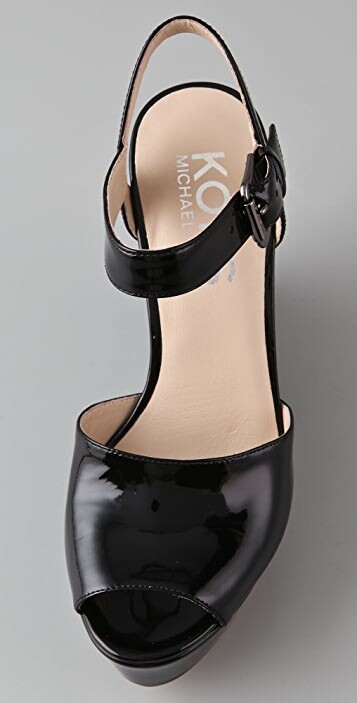 These patent leather wedge sandals feature an open toe and a buckled ankle strap. Covered platform and wedge heel. Leather sole. * Heel: 4.25" (110 mm).